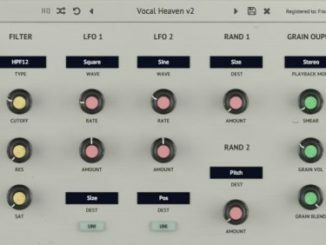 HomeNewsWaves Flow Motion Is A New Synthesizer Plugin That Simplifies FM Synthesis! Anyone looking at Waves Audio the last few days will notice the company is on fire. After their free plugins during Black Friday & Cyber Monday, Waves has released today Flow Motion, a new Synthesizer plugin that tries to simplify FM synthesis. It’s based on a hybrid FM synth engine (subtractive + FM) that use graphic FM modulation matrix to make it easier to see the changes. An interesting feature is also the 16-step snapshot sequencer that allows you to capture 16 different states of the synth and to recall them inside a sequencer. If you design these nicely, the results could be very deep. Beside this, it comes with over 1000 professional designed presets that helps you to understand the synth. Flow Motion combines the best elements of FM (frequency modulation) and analog-style subtractive synthesis in one powerful instrument. The Flow screen eases your way into FM synthesis, with a uniquely designed graphic FM modulation matrix that connects four powerful mono/polyphonic oscillators with independent waveform and pan controls. 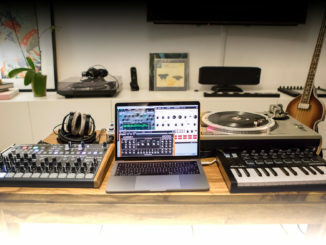 You can easily modify assignments between the oscillators, using four independent floating LFO/envelope modulators with intuitive drag-and-drop manipulation. The Motion screen lets you further control filters, amplitude, EQ and FX in a ‘traditional’ subtractive way, for added power and flexibility. The 16-step snapshot sequencer enables you to easily capture 16 different states of the synth and switch between them in real time. With 16 recallable snapshots per patch, you can quickly create jaw-dropping sequences, on the fly and in the flow. Waves Flow Motion FM Synth is available now for an introduction price of $39 USD (regular). If you use the SYNTH ANATOMY link, you can save additional 10% OFF on the intro price. 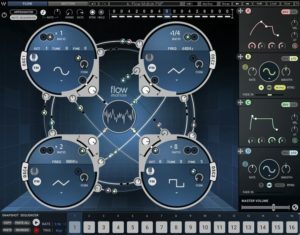 Flow Motion FM Synth is also part of the Cyber Monday 2+1 Free promotion. Alesis Strike MultiPad Is A New Sampling & Looping Percussion Pad! Modal Electronics Releases MODALapp 2.0 Editor & Teases New Synth! 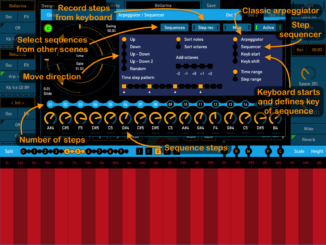 SynthScaper 1.5 Adds Arpeggiator/Sequencer, Files App Support & More!